Metal’s amazing survival through the years has a lot to do with the sound’s willingness to change and adapt. It’s always nice to have the proteins-and-potatoes-style of bands that keep things traditional, but it’s been fascinating to hear groups that aren’t satisfied with the norm and push the boundaries as far as they’ll go without breaking. 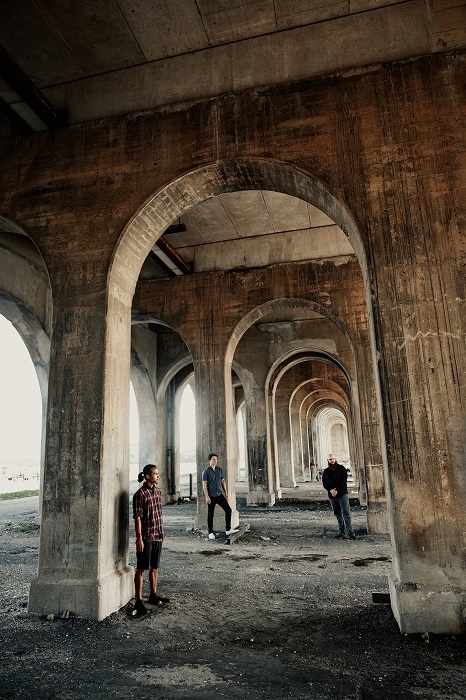 Washington, D.C., progressive metal band Myopic are delivering their first full-length, a self-titled affair, and it shows an incredible amount of growth both for the band and for extreme music as a whole. Sure, it sounds odd to say a band on their first record have progressed, but it’s not like this is their first rodeo. The band has two EPs and a split (with the mighty Torrid Husk) and have displayed their force in the live setting, so this first album is more the culmination of the efforts that have preceded it. These eight songs spread over a generous 55 minutes are adventurous and exciting, a mix of death metal and sludgy doom, with the band showing their musical dexterity over the bulk of the album. It’s technically dazzling, but not in the robotic sense, as the band—guitarist/vocalist Sean Simmons, bassist/vocalist Nick Leonard, drummer Michael Brown—inject heart and soul into the music, ensuring their work is splashed with humanity. “Intro” is a strange start, a quick instrumental intro that lets noise bleed and stream rise before working into “Earth’s Mantle” that has a proggy bend right off the bat. The bass plods, as the song has an airy crunch, and clean calls sit behind the violence. The intensity ramps up as the melodies charge, and the band sets a daring path they follow with gusto. Harsh growls rip, as the melodies rivet, and as the track reaches its end, the playing spills into noise. “Onward” strikes and trudges, with the growls intertwining with clean singing and the riffs roaring. Growls attack anew, as the track charges, noise emerges, and the track blisters to a close. “Husk of a Man” lights things up, with the bass rollicking, and proggy strangeness making its presence known. There are parts of this song that remind me of vintage Voivod, with strange singing, rubbery playing, and even some strains that feel Floydian. The pace rumbles, the synth cloud thickens, and it all ends in a sound surge. “In Exile” is a 12:55-long pounder, the longest track on here, and it starts aggressively, with guitars lighting up, and the drums awakening. Riffs start to charge as the pace gets started, and the music begins to float into the air. Singing pushes through before the track gets uglier and growls emerge. The band spirals into a long section of playing where they stretch their creativity, later getting moody before the speed ignites, gets gritty, and roars spill over a panicked pace. “Pillars of Time” is slow driving as it starts. Rumbling with scathing growls pours into a vile, horrifying stretch, though the chorus lightens up and brings a spirited sense to the din. Guitars take over as soloing bubbles, with the track disappearing in a swarm of noise and chirps. “Swallowing Depths” is aggressive at the start, with guitars circling and smothering power being applied. The track gets adventurous, temporarily calming down before the guitars take over, growls rain down, and the punishment fades into ghostly apparitions. “Resting Place” closes the album with sorrowful guitars spreading and a shadowy tempo opening up, making way for horrifying growls and a steamrolling chaos. The track continues to gain steam, gets psychedelic, and then kicks back into the madness, carving straight to the heart, and bowing out in distortion. 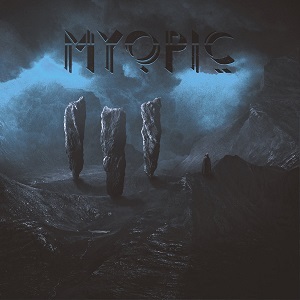 It may have taken some time and effort for Myopic to get their first record out into the world, but we now have their self-titled affair in our grasp, and it was well worth the wait. These guys mix musical ingenuity and brutality as well as anyone, and this record is a smasher from beginning to end. Records and bands like these are what’s going to keep metal a vital force well into the future.